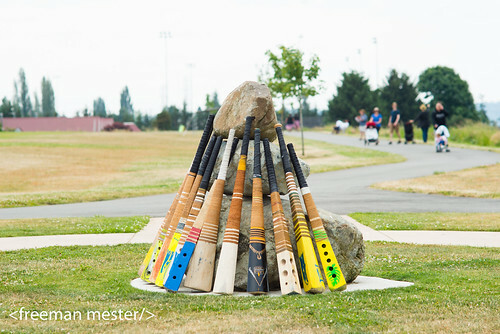 Kiritiki (Samoan cricket) bats await the start of a game. Photo by Freeman Mester. 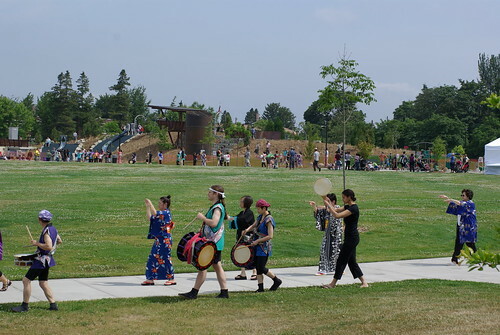 The event began with a procession. Photo by K. Shuyler. 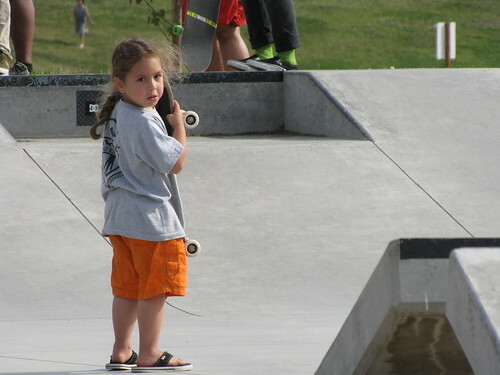 A tiny skater. Photo by Wendi Dunlap. 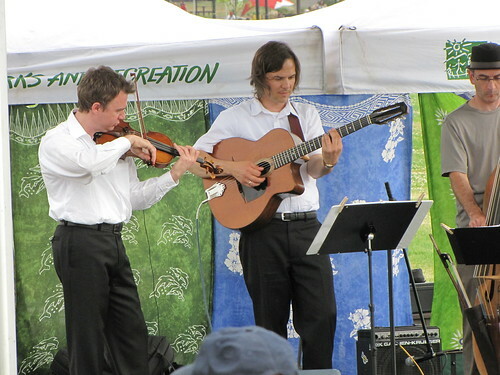 Members of the Greg Ruby Quartet perform. Photo by Wendi Dunlap. 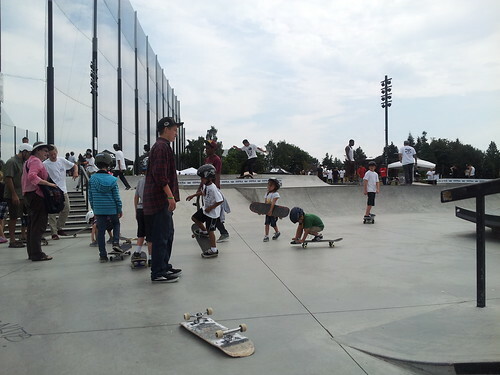 Skateboard lessons for all ages at the Jefferson Park skate park. Photo by Melissa Jonas. 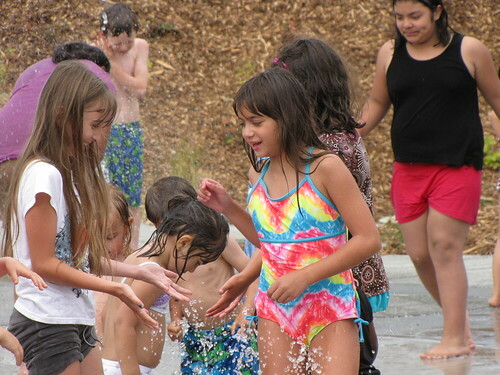 Kids enjoy the fountains at Beacon Mountain Playground. Photo by Wendi Dunlap. I wish I could show you video for this one. 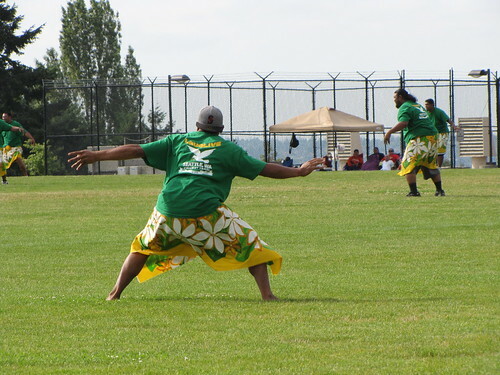 The kiritiki player in front was waving his arms in a victory dance. Photo by Wendi Dunlap. Waiting in line for food at El Sabroso. 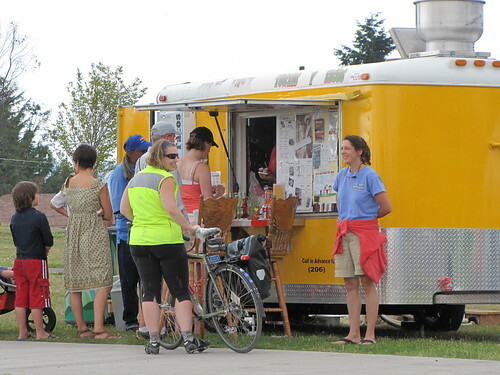 The other food carts had all run out of food by this time. Photo by Wendi Dunlap. 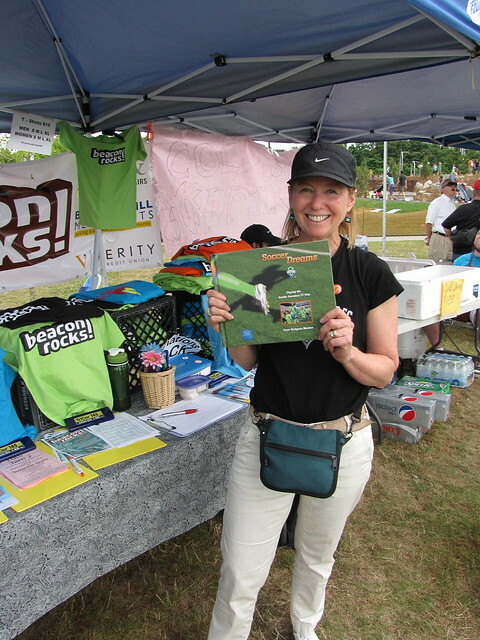 Claire Hodgson Meeker, author of Soccer Dreams: Playing the Seattle Sounders FC Way was there with copies of the book. Photo by Wendi Dunlap. 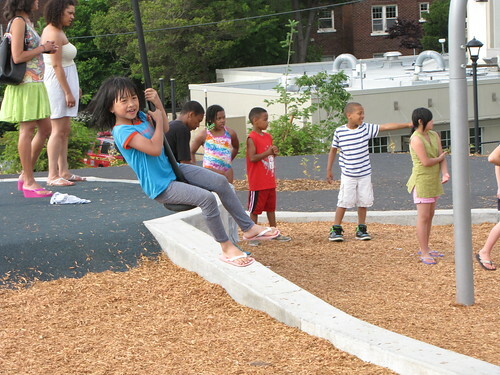 Riding the new Beacon Mountain zipline. Photo by Wendi Dunlap. Skating under the skyline. Photo by Wendi Dunlap. 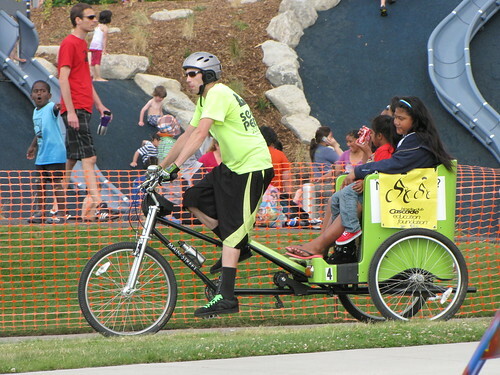 Some folks got around the site via pedi-cab. Photo by Wendi Dunlap. 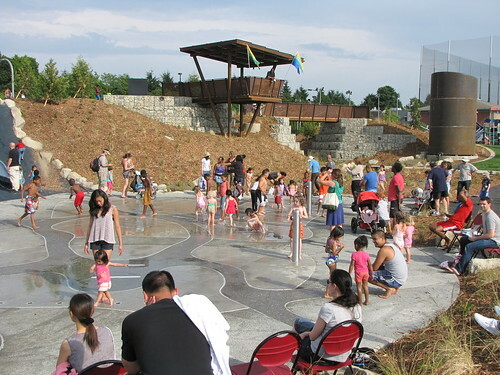 The water fountain play area at Beacon Mountain was a hit. Photo by Wendi Dunlap. I love that shot of the Samoan cricket bats! Lets see some more photos, such a great day!